He is Risen! 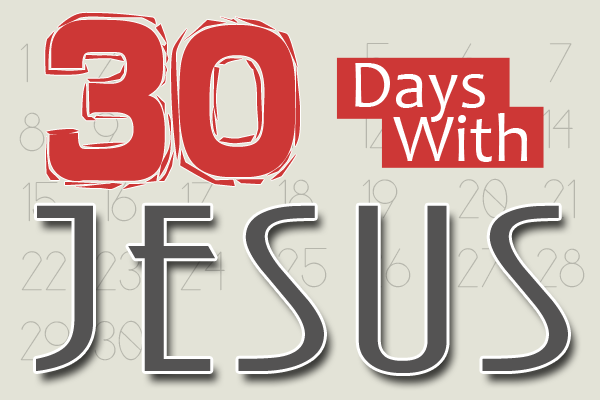 Over this 30 day period (which hasn’t done justice to all the miracles and signs we have in scripture) we have seen Jesus enter the world that he created, preform miracles, heal the sick, feed the hungry, lead a life for us to follow, sacrifice himself for our sins and rise from the dead – conquering death, hell and the grave. So what now? Where do we go from here? Jesus didn’t just come to sacrifice himself for us, and to conquer sin – he came to teach and train his followers. What happens when the CEO of an organization retires? Often times they replace him with someone he was training to be his replacement. Well, when Jesus left earth – he had fully trained his disciples to carry on his work and he had fully revealed himself to them so they would know everything they needed to know to do His work. But, in a move not possible by any human, he didn’t just teach and train his disciples to do what He did – he would later send his presence to live within his followers. Jesus, ascended into heaven and sits at the Father’s right hand, but he sent his Spirit to live in us. Why? Why would he do that? So that we would go tinto all the world, and make disciples of all nations – starting with Jerusalem. Starting with our 8 to 15. Our job as followers of Christ is not only to follow his teachings, but to follow his example in making disciples. Since Jesus ascended into Heaven and left us with His Spirit – we are the physical representation of the body of Christ to this world. This is our command, this is our mission, this is our life, this is our pursuit, this is our responsibility. We cannot shove this off on anyone else. This is for every follower of Christ. It is not only for pastors, it is not only for the bold and the brave. This is for every follower of Christ. Every one of us. No one is excluded from this responsibility. People don’t come to Christ because of an organization, they come to Christ because of you and me. So, it is on us. It is on our shoulders. After the last 29 days, it would seem clear that He has done so much more than we deserve that this would just be a given. One would think that if we truly understood the sacrifice Christ made for us we would want to tell the whole world about it. So why don’t we do it? There are probably a thousand reasons, but one of them is certainly fear. We’re afraid of being rejected. We’re afraid of upsetting a friend, co-worker, family member or neighbor. All I know is this, Jesus was despised and rejected by men – but that didn’t stop Him from going to the cross in my place. I also know that there are millions of lost people who will never hear about Christ unless we tell them. There are millions who will still face the wrath of God as punishment for their sins because they never accepted Christ. I’m not okay with that. I’m not okay with us being okay with that. 45 Then he opened their minds so they could understand the scriptures, 46 and said to them, “Thus it stands written that the Christ would suffer and would rise from the dead on the third day, 47 and repentance for the forgiveness of sins would be proclaimed in his name to all nations, beginning from Jerusalem. 48 You are witnesses of these things. 6 So when they had gathered together, they began to ask him, “Lord, is this the time when you are restoring the kingdom to Israel?” 7 He told them, “You are not permitted to know the times or periods that the Father has set by his own authority. 8 But you will receive power when the Holy Spirit has come upon you, and you will be my witnesses in Jerusalem, and in all Judea and Samaria, and to the farthest parts of the earth.” 9 After he had said this, while they were watching, he was lifted up and a cloud hid him from their sight. Thank you for your resurrection! Thank you for this new life we have in you because of your bodily resurrection. Thank you for sending you Holy Spirit to live in us. Thank you for overcoming everything we could face, help us to live as overcomers. And as we overcome just as you overcame, help us to overcome fear and be built up with boldness to go into our world, into our 8 to 15 to make disciples for your name, for your glory and for your Kingdom!